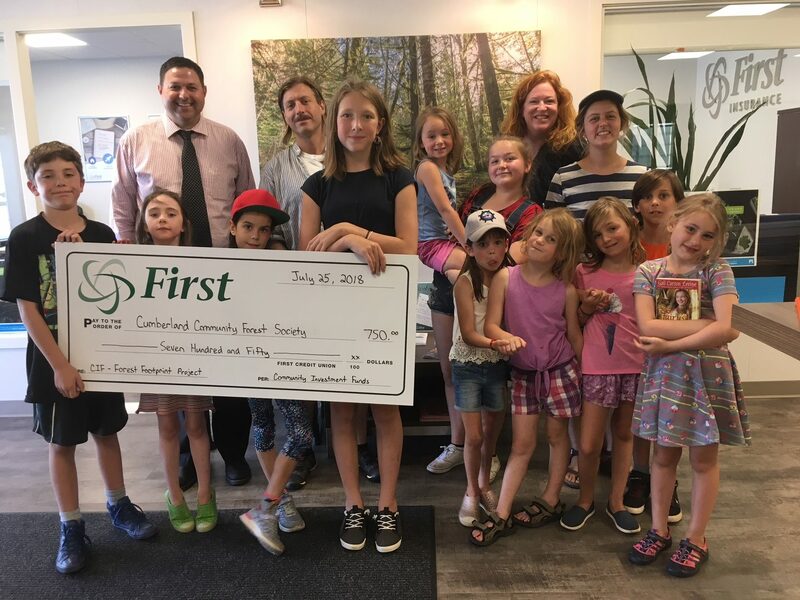 Congratulations to the Cumberland Community Forest Society and their Forest Footprint Project for being selected as one of the recipients of First Credit Union & Insurance Community Investment Funds! The Forest Footprint Project is a broad based community engagement program exploring the ecological impact of our 'footprint' on the Cumberland Forest as a result of increased use by residents, schools, programs and visitors. The project aims to engage the community in dialogue, education and creative problem solving to reduce our impacts and help ensure the long term ecological integrity of the forests the community has worked so hard to protect. 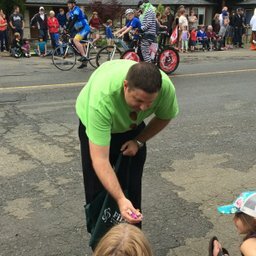 Attached picture includes a number of the kids involved in the project along with project coordinators Meaghan Cursons, Henry Fletcher, and cheque presenter Craig Keeping (First Credit Union & Insurance Branch Manager). First Credit Union & Insurance Community Investment Funds are awarded annually and grow as our business grows in the local communities we serve.